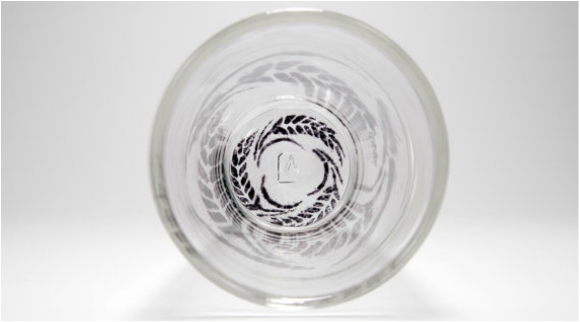 Our glass inlay process uses hand drawn and cut stencils to create one of a kind images in the bottom of our drink ware. The unique optical effects of the pattern, rendered by the glass, are enhanced when liquid is added. Our line of beer glasses and carafes uses imagery that relates to beer the brewing process. Looking for a gift for your beer connoisseur friend? 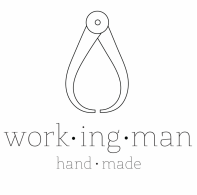 We do custom imagery for something more personalized, even monograms. We love to work with breweries! If you represent a brewery, click here to send us a message via our contact page. We can incorporate your branding imagery with custom glassware for your gift shop, tours, events, promotional materials, and more! 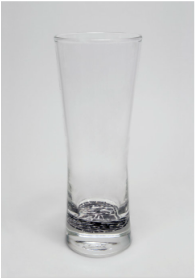 A simple, straight-sided, 16 oz American style pint glass. As the most versatile glass in our craft beer collection, it is recommended for most beers but especially ales, lagers, and IPAs. 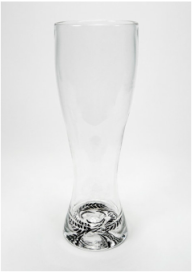 A traditional weizen glass, featuring a curvaceous profile, a wide lip, and an impressive half liter capacity. It is recommended mostly for wheat beers. Inspired by the traditional pilsner, our glass has a narrow foot to showcase the color and clarity that are characteristic of the pilsner style beer. Our glass is slightly larger, to hold a full pint. 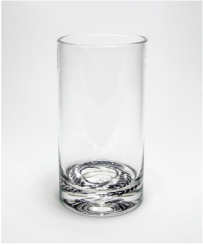 Our roemer glass is inspired by the traditional chalice glass, appreciated for its wide mouth allowing of deeper sips. It is recommended for maltier beers such as stouts, porters, and strong ales. 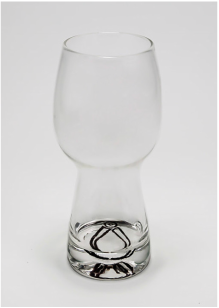 Our IPA glass is inspired by the snifter glass, with a large bowl and narrow mouth allowing the drinker to swirl the beer and experience the full range of flavor and aromatic profiles of different styles of IPA.